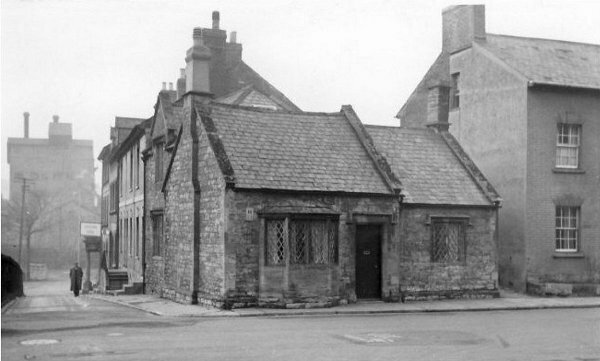 In 1753 Turnpike Commissioners were appointed for "repairing and widening the roads" of Yeovil. They ordered that "three capital gates be erected" at Hendford Bridge (by today's Railway Tavern), Goar Knap (roughly near the junction of St Michael's Avenue and Sherborne Road) and "the Head of Kingston." Collectors at each of these gates received a salary of six shillings per week or "eight shillings until the toll houses are completed". There was also a "stop gate near the entrance leading from Pen Style to Newton" with others at Watercombe Lane, Combe Street Lane, Goldcroft and Dorchester Road. The Turnpike Commissioners ordered that a stop gate be erected "on or near the entrance of the road leading from Pen Stile to Newton." John Gregory was the first collector of tolls, appointed in 1753 at a salary of 2s 6d a week. The job of collecting tolls must have been lucrative since in 1773 the Pen Style Gate was let for £9 a year. In 1785 Pen Style Gate was let to Mary Toogood for £11 but by 1808 the Goar Knap, Pen Style and Stoford Stop Gates were let to George Coaker for £183 (about £15,000 at today's value). The Pen Style Gate, literally a gate across the road and shown on E Watt's map of 1806 below, appeared in the 1841 census as being controlled by George London, a wagoner, who lived in a cottage there with his wife and four children. 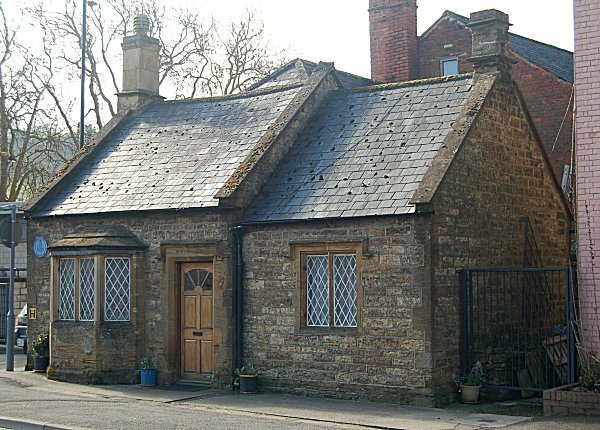 Later, a toll house known as the Penstile Turnpike House, or Pen Stile Toll House, was constructed for the gate keeper in the late 1840s. In the 1851 census 79-year old widower Thomas Burt was listed as the Toll Gate Keeper, living in the tollhouse with his unmarried daughter, Lucy. In the 1861 census agricultural labourer Bernard Cooper lived in the tollhouse with his wife Susanna, twenty years his junior, and baby Ellen. Surprisingly Susanna was listed as the gate keeper. 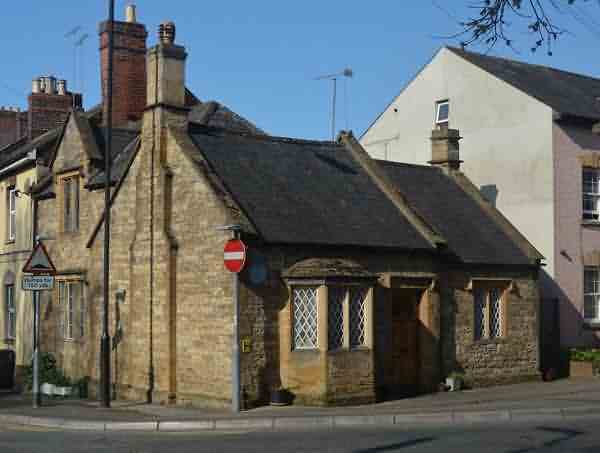 The Penstile Toll House, with its stop gate, had originally been sited at Pen Style - the junction of Newton Road and Lower Middle Street (hence its name) but in the latter part of the 19th century it was re-built in its present position on the corner of Newton Road and South Western Terrace. It is now named Newton Lodge. 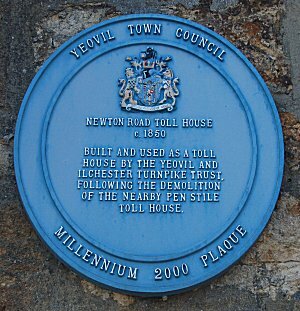 Yeovil Town Council's blue plaque nearly got its facts right - this wasn't built "following the demolition of the nearby Pen Stile Toll House", it actually was the Pen Stile Toll House but rebuilt at this location. In its edition of 19 September 1863 the Western Gazette reported "The old turnpike gate and house at the entrance to Newton Road have at last been removed.... The greater part of the small front garden should be thrown into the road so as to bring Newton Road as nearly in a line as possible with the street in front of Wyndham Terrace." "Tollhouse?, c1850. Local stone squared and random coursed, with ashlar dressings of Ham stone; Welsh slate roof between gable copings. A one-storey block in two sections to Newton Street, and a 2-storey rear extension along South Western Terrace. The left-hand Newton Road section has an angled bay window with stone mullions and roof, 4-lights with cast iron casements diagonally glazed: the door (late C20) has a simple chamfer surround and hood mould right, in the slightly lower section, a 2-light matching mullioned window with label. On the return to South Western Terrace a proud-standing stone flue with angled offsets to the gable, then a 3-light mullioned window with rectangular panes under a label, with 2-light matching window above set in a gable." 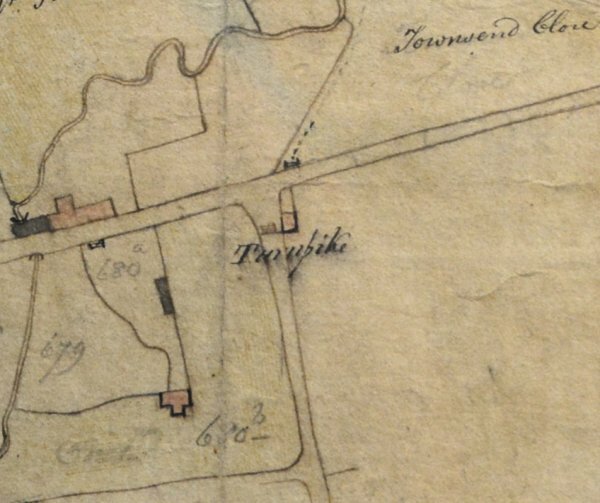 E Watts' map of Yeovil of 1806 shows Penstyle Gate crossing Newton Road and marked 'Turnpike' at centre. The original toll-keeper's house is shown to its east, shaded pink - later replaced by Penstyle Turnpike House. The stream running from top centre down to bottom left is Milford Stream. In the bottom left quadrant is Coldharbour Farm. To the north of the toll gate is shown a gate leading to a footpath (shown by the dotted line) running along the western edge of Townsend Close. This footpath is the line of the later Wyndham Street. 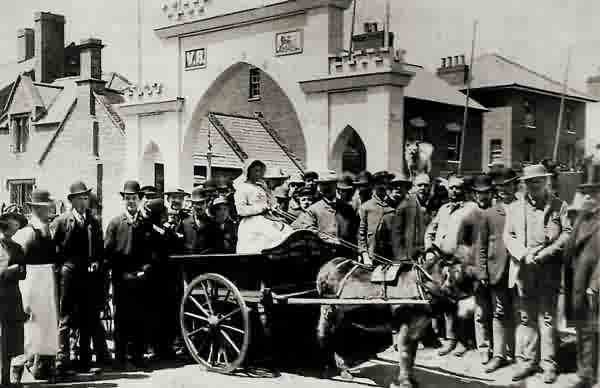 Lizzie Little with her new donkey and cart in front of one of the two artificial stone bridges built for the 1887 Golden Jubilee celebrations - this one being across Newton Road - Pen Style Toll House is seen behind the arch at left. Penstile Turnpike House photographed about 1940. Notice the tall building in the distance at left which was part of the gasworks. Penstile Turnpike House, now called Newton Lodge, photographed in 2017. ...and seen from Newton Road in 2013.